Its main objective is to manage the wealth of Abdulaziz Almashal and his family on proprietary basis within diverse investments, and sometimes complex approach, by capitalizing on its strong ties with leading financial institutions and investment firms locally and around the world. AMAC Investments operates as a limited liability company having direct relations with government entities, auditing firms, legal consultancy firms and regulated financial institutions locally and internationally. Moreover, their company manages its subsidiary, Abdulaziz Mohamed Almashal for Real Estate Development and Investment Company (known as AMAC Development), that oversees two hotels in Al-Madinah and its ties with both Saudi Commission for Tourism & National Heritage (SCTH) and the strategic partner managing the hotels. The website was aimed on both public and private sectors and designed for individuals and investors of all age groups. 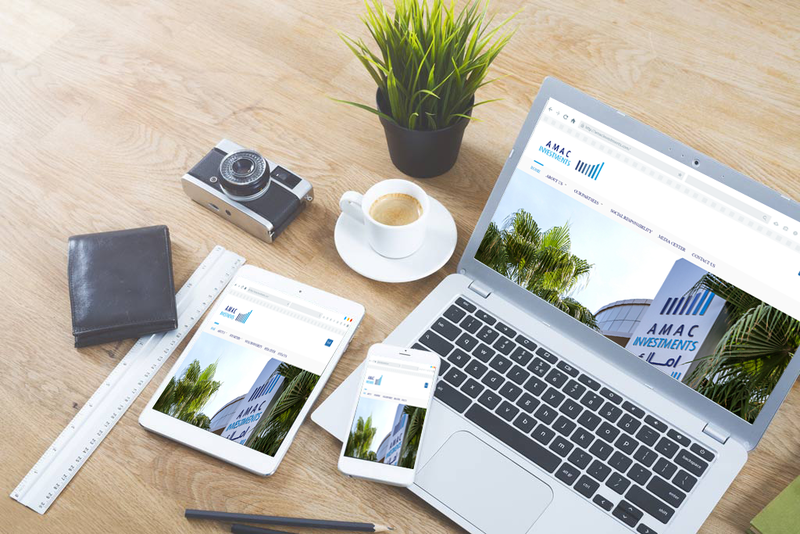 In 2017, two years after the successful launch of the website, we were approached once again to develop the mobile version website from scratch. What does that say about the reputation of EBOX®? We were very impressed by the hospitality shown by the AMAC Investments in our very first meeting at their premises. A driver was provided, followed by a tour of the brand new office. A discussion was made about the client’s business and the objective of the website. An in-depth research was carried out to determine the site structure, incorporating features of the UI. A Requirement Specification Document containing project details, design specification, default requirements, functional requirements and site structure was written, which was then edited by the client before approval. The pages were wire framed to finalize the layout of pages. Once approved, two different options of the homepage design were put forward for the client to choose from. All static pages were designed based on the design of the homepage. The English pages were designed first, followed by the Arabic pages. Let’s Make It All Work! The website portal is equipped with the latest version DNN CMS (Content Management System) which also helped organize content in a more thoughtful way. We created a website incorporating a professional design with new & updated technologies like ASP.NET, CSS3, HTML5, J Query and AJAX to increase interactivity and speed and ensure compatibility for all browsers. A thorough Quality Assurance test was carried out by both the EBOX® and AMAC teams to identify and fix any defects found in the layout, functionality or compatibility before the site was launched. The test was carried out for General QA, Front-end and Back-end. A training session was conducted at the client’s premises which would allow users to be able to maintain the website using DNN Content Management Solution. The session was an hour long and covered the topics “AMAC – DNN Control Panel Over View”, “Edit Menus”, “Page Settings”, “Upload Files”, “Google Analytics” as well as adding new users, news and careers. After the successful installation of the CMS and testing of the website on the staging server, the website was moved to a Windows-based server provided by EBOX® , based on the .NET framework used in the development of this site. We Write Content that Works! Professional writing of Web Content includes Content creation, editing and quality control of subjects. Quality input sessions with senior and subject matter experts from within the client organization were held. 3 revisions of the final report/profile were made available. Content for the website was written by EBOX® in both Arabic and English languages. A photo session was arranged to capture high-quality photos to be added to the website. Most photos showed staff members with the office interior while some showed the staff members on a white background. Others showed different views of the exterior of the office. A Portable Website Which You Can Use On The Go! However, some amendments on the existing website had to be taken care of before starting our new journey. Just as we did for the desktop version, an RSD was written for the mobile site which then was edited by the client. The model of the Mashreq Arabia site, which was also developed by EBOX®, was chosen as a reference. The new website was designed to be mobile compatible with various platforms – Android, IOS and Windows. File sizes of graphics were reduced to increase download speeds. Pages and layouts were set to adjust automatically on smaller displays as well as changes in orientation. A Google Map was integrated for easy navigation to AMAC Investment offices. In Case Any New Amendments Need To Be Done Over The Website Or Any Changes Are Required, Those Needs Are To Be Taken Care By Us! 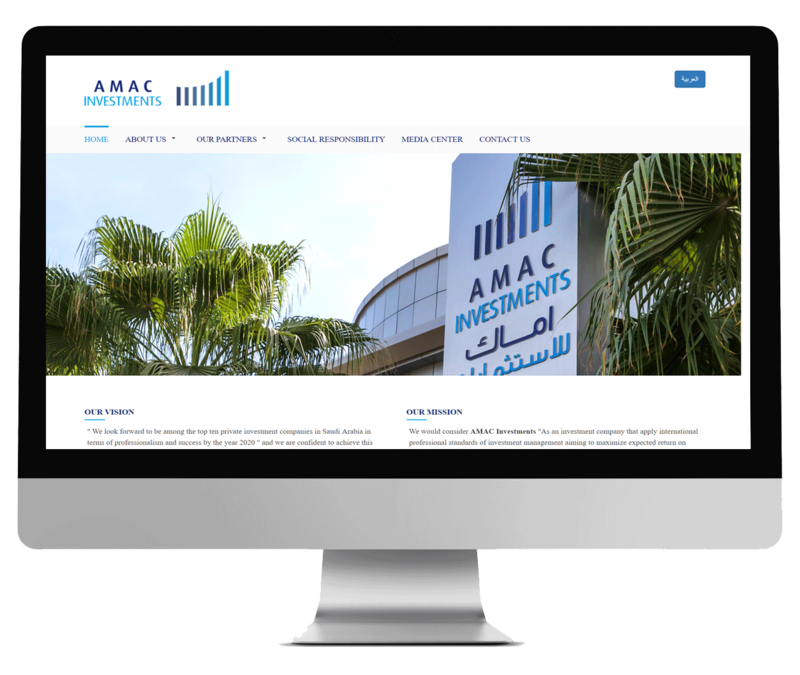 AMAC Investments has been our valuable client for the website hosting and maintenance since 2014, ever since our first success with AMAC. 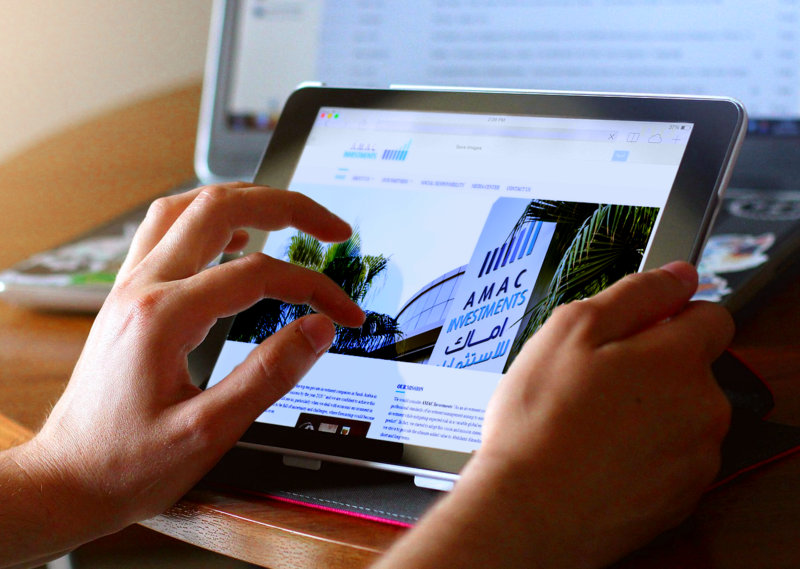 The AMAC mobile website is also being maintained by EBOX® as an incentive for continuing its business with us. Stay tuned for another project for AMAC’s sister company Ehtawa, a rehabilitation center for children, coming up! It’s good to see our hard work pay off ! It was a pleasure working with AMAC Investments. The new website was launched successfully. Thanks to clearly defined goals in our discovery meeting and a clear and concise UX strategy which allowed us to achieve a user-friendly and responsive website with the integration of Google Analytics. 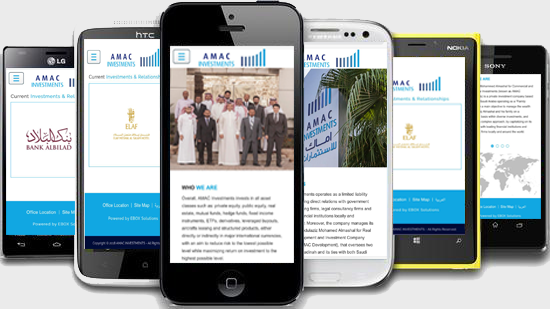 The start of the new year of 2018 was marked by the release of the AMAC Investment mobile site. It was an enjoyable journey and we would be taking care of the maintenance of this site in the future.